I know last night that I said I have limitations. I have since given myself an attitude adjustment. I don’t have limitations. I have temporary setbacks. If I don’t strive to get better, Hashimoto’s is an “excuse” and I can and will use it to convince myself that there’s nothing I can do. I will end up giving myself limitations that I truly don’t have. I would rather think of it as a “reason” why I’m experiencing this temporary setback and use that as motivation to prove I don’t have limitations and that I can overcome anything I set my mind to. I used to be an athlete. I used to be in great shape and work out 1-3 hours a day. Those days are long gone. I will likely never have that level of energy or fitness again… but that doesn’t mean I shouldn’t try. That doesn’t mean that I can’t reach a level of energy or fitness that is satisfying to me. There are answers for each and every one of you dealing with the ravages of Hashimoto’s Thyroiditis. The key is to never give up looking for them. 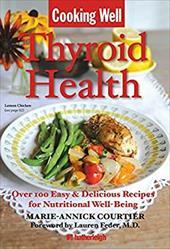 If I had, I would have never discovered Dr. Izabella Wentz’s book “Hashimoto’s Thyroiditis: Lifestyle Interventions for Finding and Treating the Root Cause”. I immediately asked my doctor if it was ok if I started taking selenium after reading about it in that book and it has changed my life. Selenium has also helped my mother and sisters, who also suffer from Hashimoto’s. But selenium hasn’t solved everything, so I need to keep looking for the next answer and the next to unlock this mystery of Hashimoto’s Thyroiditis that so few doctors seem to know about. 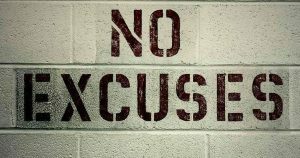 So, from now on, no excuses. Hashimoto’s takes its toll physically, mentally, and emotionally. When I get knocked down, I can’t promise I won’t get depressed or be a little self-pitying, after all, mental and emotional symptoms go hand in hand with Hashimoto’s. But, I’m going to promise myself I won’t stay down for long. I will get right back up and re-focus myself on unraveling the mysteries of Hashimoto’s and finding the answers that work for me. I hope you will do the same.